It is finally here! Yay! Today is the Taylored Expressions release day of all the new products we have been sneak peeking since Monday! There are twelve stamp sets, thirty dies some of them coordinating with the stamp set, three new embossing folders and matched kit, 6 x 6 pattern paper and sequins. That is a lot of new goodies and all of them are gorgeous. 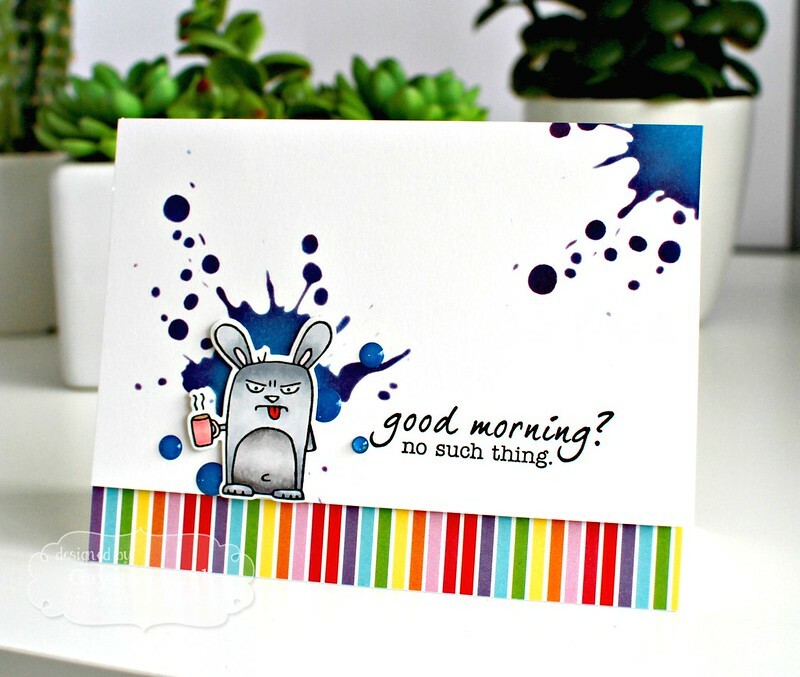 Today I am sharing with you projects using Grouchy Grumplings stamp set and coordinating dies. I have made a set of cards using this stamp set and dies. So sit back, relax and enjoy! I love these grumplings. They are adorable and the expressions on their faces are funny. I started with stamping these images and colouring with copic markers. Then die cut these images using coordinating dies. To highlight these images, I wanted to have a background. With the Grumplings in Costumes stamp set released last month, I sponged my background to highlight the grumplings. Here is the link to the Grumplings in Costume cards. So with this I wanted to do something different. I used distress inks to sponge on spatter stencil. I chose to use two different colours to add shading. For example, Salty Ocean and Dusty Concord, Abandoned Coral and Picked Raspberry. This added depth of the spatter. I used Taylored Expressions Rainbow Brights 6×6 paper to complement the sponged colours. 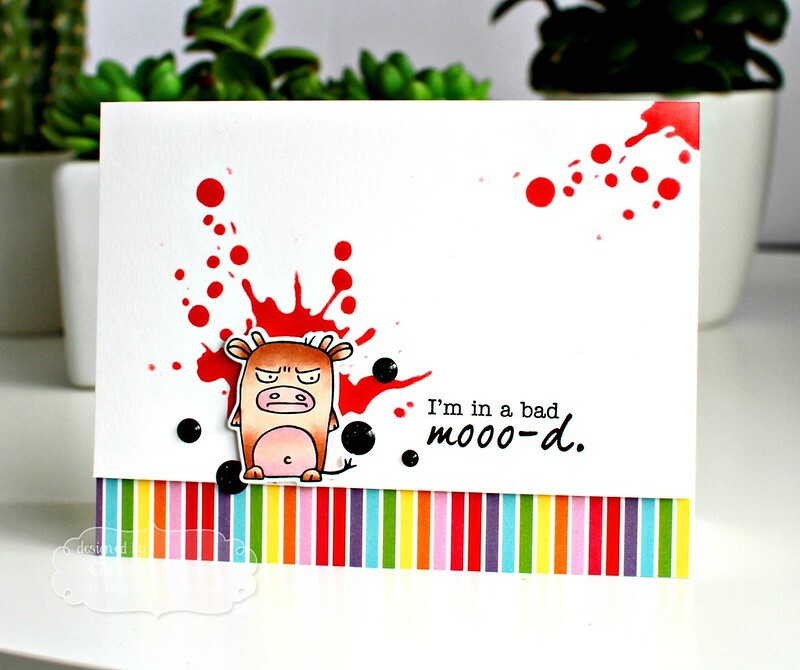 The sentiments are from the Grouchy Grumplings stamp set which I stamped using black ink. Finally embellishing with enamel dots. I wanted to make a fun card set and pretty pleased with it. I have listed all the products I have used to make my cards below. All the new release products are available for purchase from Taylored Expressions shop. Your cards are not only awesome but they are hilarious. 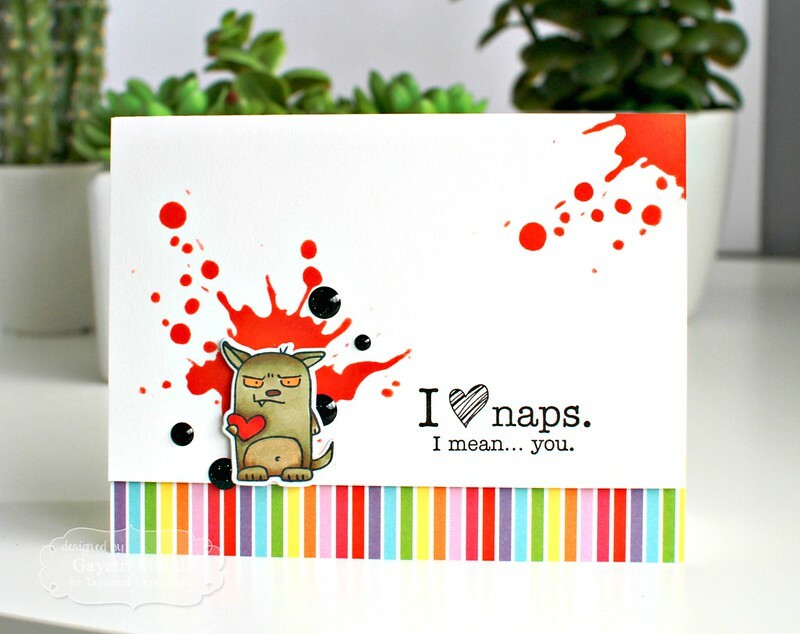 I love the colouring you did on the animals and the fun background splats, so cool! Totally made me laugh out loud, love love these Gayatri! These are FANTASTIC!!! I LOVE all these fun cards!! Love this “grumpy” set! I have some knitter friends who will appreciate my new cards! Haha! They are AWESOME!! So funny! I love these cards! I like cartoon animals behaving badly…lol. You really did an amazing job with the colors! 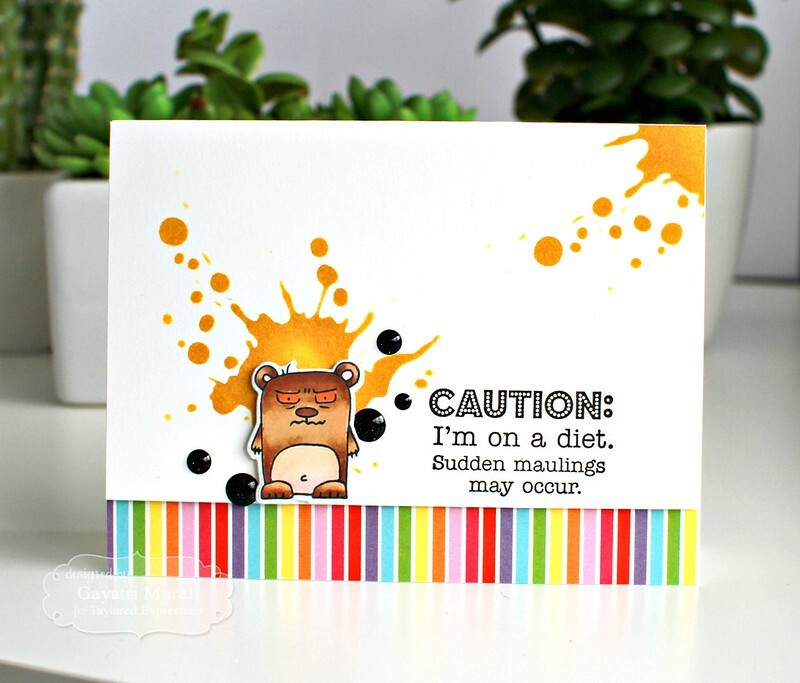 Wow… great cards…love the background as well as the Copic coloring! Adorable! I love the “Knit Happens” kitten! So cute! These cards are so cute and bright. Thanks for sharing. This group of like cards are a riot! Amazing! I love what you did! So much fun!!!! whahaha you really made me laugh today!